In Christian music, there aren’t a shortage of options when it comes to the genres available for various religious listeners to pick from. From the soft rock to the soulful genre, Christian music still packs within it a wide range of options for listeners. One of the artists providing these options is Zach Williams, a Christian Rock musician who has won several awards including the coveted Grammy Award. He has been the leading face of a number of music groups one of which is Brothers of Grace. The Florida born artist has achieved a lot in his music career and he is worth reading about. Learn more about him below. Zach Williams spent a greater time of his childhood in an Arkansas town called Jonesboro. However, the gospel music star, who was born on the 5th of March in 1981 made his earthly landfall in Pensacola Florida. Like the majority of his musical peers in the industry, Zach was raised a Christian, attending church and fulfilling his religious rites. Not much is known about his parents and there is no available information about his education. We, however, do know that for a long time, Zach, unlike his parents, lived a secular life. He formed a band, Zach Williams & the Reformation in 2007. The Southern rock band, for a long time, was a vehicle for him living what he has described as a wayward life, an opposite of the faith he now professes. He formed the band with members, Josh Copeland, who played the guitar, Robby Rigsbee, who was also the guitarist, Red Dorton was the notable bassist wile Creed Slater manned the drums. The band, released two albums, A Southern Offering, and Electric Revival. Electric Revival was released in 2009, two years after the band’s formation while A Southern Offering was released in 2011, a year after the band’s eventual disbandment. The band found moderate success with their albums and they toured the Southern United States and some parts of Europe in the promotion of their albums. It was during their tour of Europe in 2012 that Zach Williams found his conviction in Christianity. The band was subsequently disbanded and he returned to America, rededicating his life to God in Central Baptist Church situated in his home town of Jonesboro. Even though Zack Williams was no longer a rock musician, the music talent that resided in him needed a form of expression and he found it in Christian worship. Zach in 2014 became a worship leader in his church and continued singing until he released his debut and most popular project till date in 2016. Before the release of his debut solo album, Chain Breaker on December 14, 2016, Zach Williams was signed by Essential Records owned by Provident Label Group. He became an artist on the label’s roster in 2016 and released his first single as a solo artist, four years after the end of his career as a member of Zach Williams & The Reformation. The single, which was titled Chain Breaker proved to be an instant hit, peaking on the Hot Christian Songs Chart at number one and reaching Top 10 on Christian Radio. Before he released the album, he released an Extended Play project, Chain Breaker, which contained five songs. The EP peaked at number 20 on the US Christian Billboard chart while his subsequent debut album, Chain Breaker, peaked at 184 on the Billboard 200 and number two on the US Christian Billboard Chart. His album was produced by Jonathan Smith and Colby Wedgeworth. The success of the debut songs and the album earned him several awards and nominations, including a Grammy win in 2018 for Best Contemporary Christian Music Album. Other recognitions included five nominations from the GMA Dove Awards. He won two of them. The exact year when Zach Williams got married to his wife, Crystal is unknown, but we do know he was married to her when he was still a secular rock star. The duo are still married and their union has been blessed with children. Nothing says I am a great vocalist than being the leader of three different music groups. 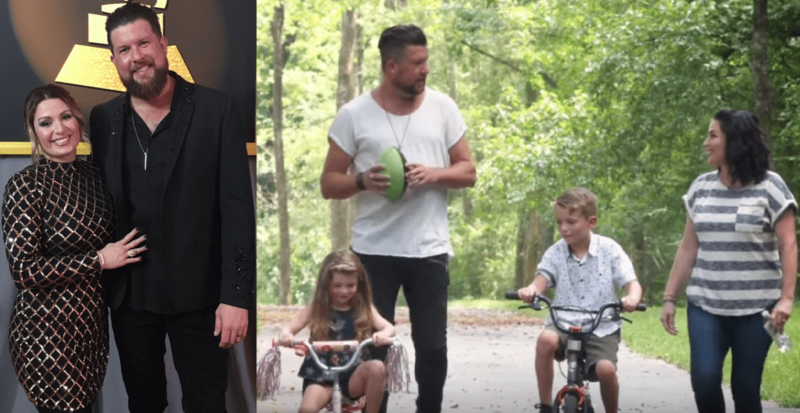 He started with Zach Williams & The Reformation before he became a full-time Christian and led the groups – Brothers of Grace and Zach Williams and the Brothers of Grace. Zach’s commitment to working for God didn’t just start with his gospel music career. Before then, he worked in the Refuge Campus of Central Baptist Church in Jonesboro as campus director. Indeed, it is not only secular musicians that earn a lot from their music career. Gospel musicians are also not left out as they are not paupers. Zach according to a reliable source has a net worth of about $5 million. His first solo single, Chain Breaker, made it to number one spot on the U.S. Christian Songs charts. He also won the New Artist of the Year and Pop/Contemporary Recorded Song of the Year in 2017 for the same single.